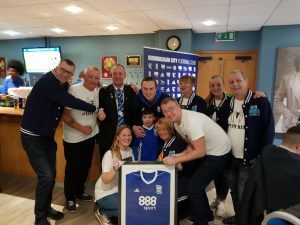 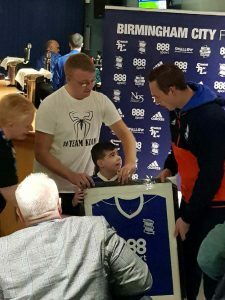 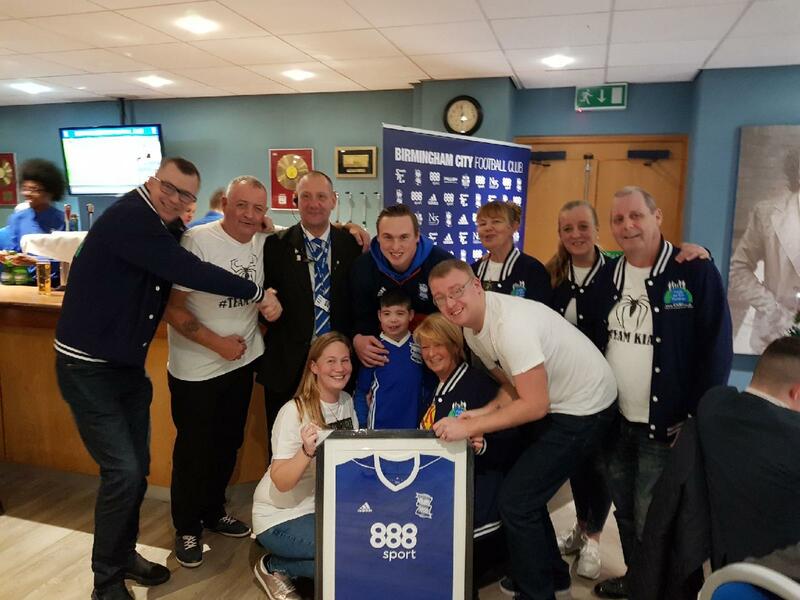 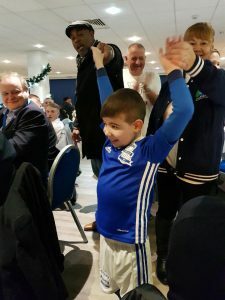 Kian and his family was invited by ‘Kids Need Both Parents’ to be our special guests in the box on 26th December against Norwich. 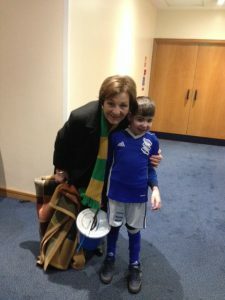 Kian was also our mascot for the day. 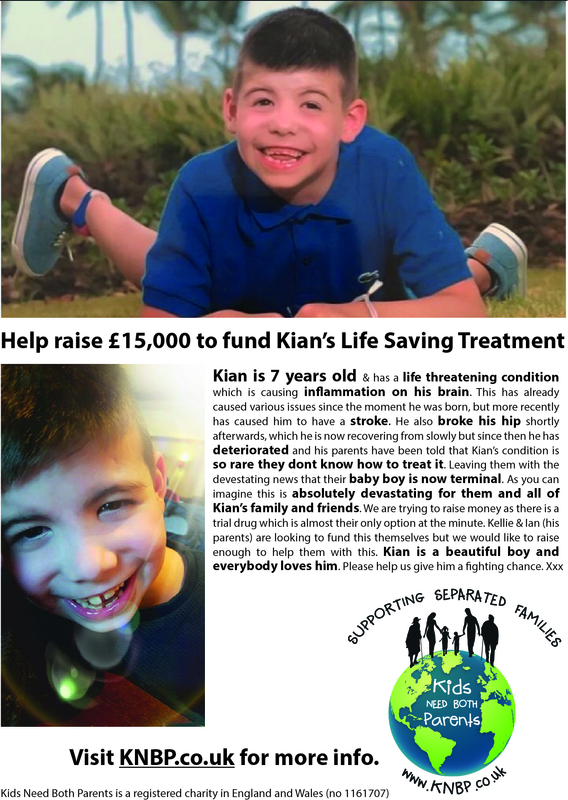 The purpose of the day was to help the family to reach their target of £15,000 to fund Kian’s life saving treatment and to raise awareness of Kian’s condition. Everyone at the Blues were very generous when the collection went round and we raised a fantastic £1646.70. 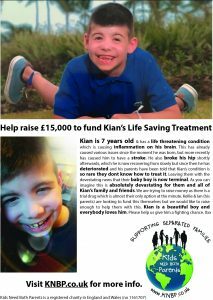 On behalf of ‘Kids Need Both Parents’, we would like to thank everyone who donated. 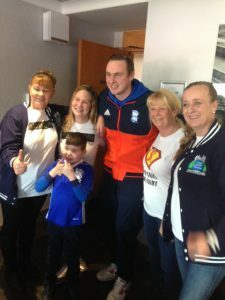 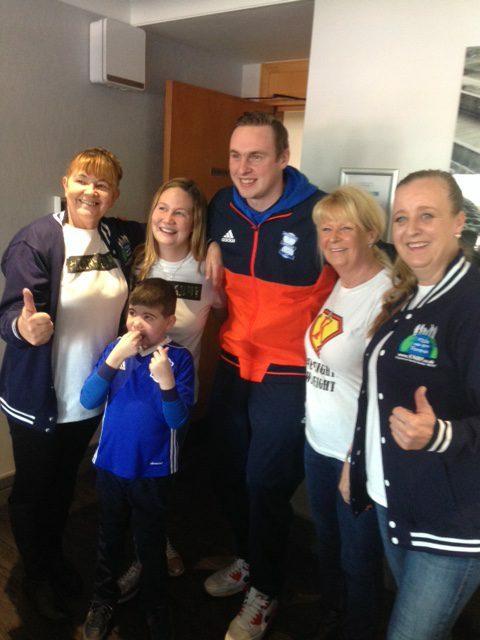 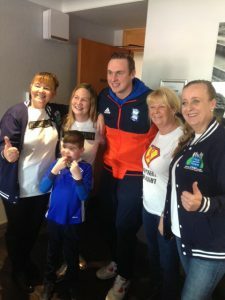 Kian and his family were given the opportunity to spend some time with David Stockdale before the match and they thoroughly enjoyed getting the chance to talk to the Blues Goalkeeper. 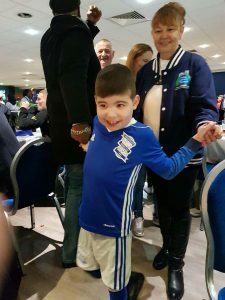 Kian was so excited that he was ‘warming up’ in the box by jogging on the spot before making his debut on the football pitch! All Kian was interested in was kicking the ball on the pitch, and as he was the Mascot he got the chance to do this. Kian walked the Blues team out with David Stockdale holding his hand. Kian’s Dad Ian, also walked out with the team and this was a very proud moment for father and son. At half-time Kian met Delia Smith, the cook and television presenter who is also famous for being the joint majority shareholder of Norwich City with her husband. 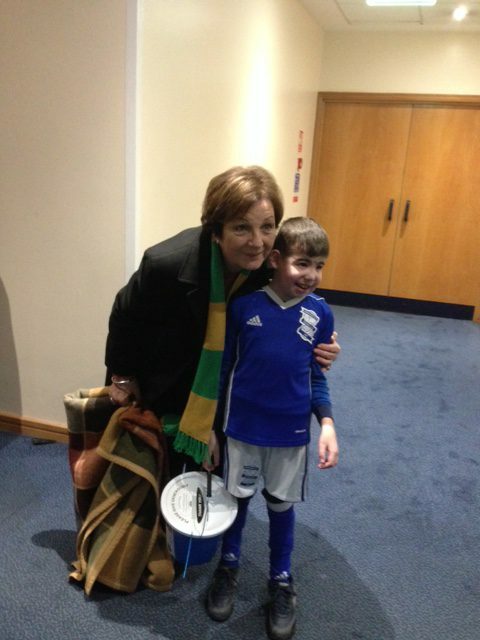 After the match, which Blues lost 2-0, Kian met the ‘Man of the Match’ who was David Stockdale! Kian asked him why he hadn’t saved the goals to raucous laughter from the Jasper Carrot Suite. Kian was presented with a shirt from David Stockdale.